Class 304 emu 304008 at Manchester Piccadilly. 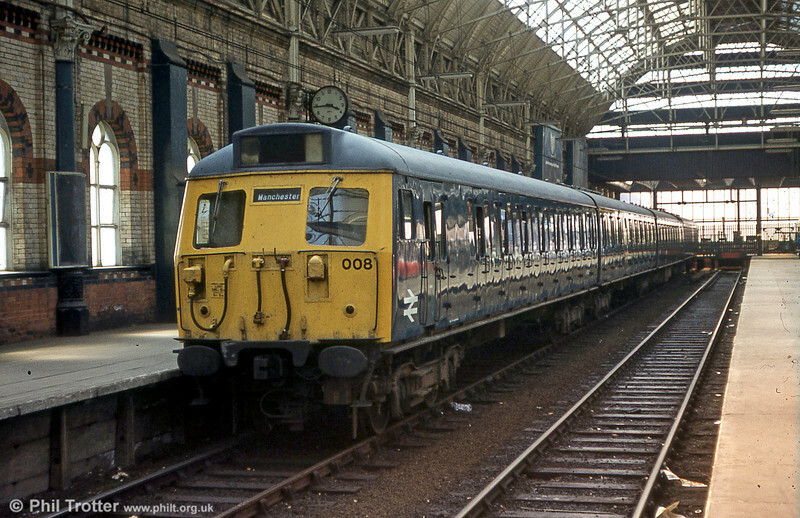 The 304s were built from 1960 for suburban use on the first phase of the West Coast Main Line electrification between Crewe and Manchester, Liverpool and Rugby. 304008 is seen in original four car formation.